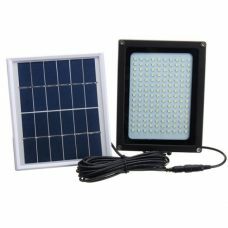 Outdoor Ultra Bright 7W 90 LED wall Solar Powered Sensor Light with wide lighting angle is a true gem in ARILUX® collection. A number of LED bulbs with a powerful Lithium battery and Motion Sensor makes the product suitable for various purposes in home & garden or security protection of property. 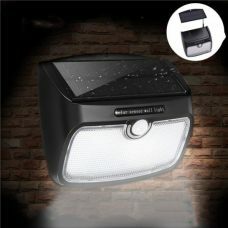 The item has 3 smart lighting modes including Full Brightness On all time, DIM light & Motion activated Sensor. 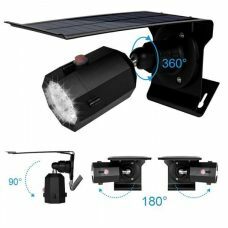 Outdoor waterproof Ultra Bright 7W 90 LED wall Solar Powered Sensor Light with wide lighting angle is an advanced lighting product of ARILUX® with multiple features. It is fully operated by solar energy with an efficient solar panel in combination with powerful built-in 4400mAh rechargeable battery. The product designed for outdoor use with IP65 protection rating and does not require any additional electric wires or other sources of energy that. 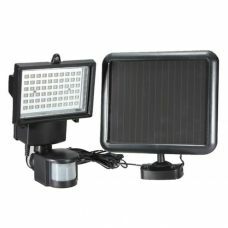 Solar light has built-in automatic daylight sensor and also Smart Motion Sensor with pickup range up to 10m and 120 degrees. 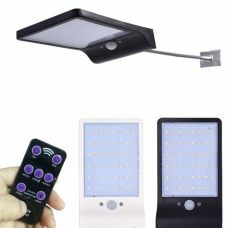 That combination allows running the product in various lighting modes including Full Brightness On all the time, DIM (weak lighting) that can extend the battery life through all night and Motion Sensor only. 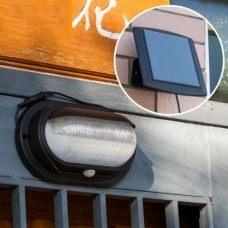 Solar powered wall sensor light is easy to install by fixing to the wall or fence of the home, garage, garden, shed, in the warehouse, basement etc. The device is a low-maintenance and cost-efficient Solar Product that provides outstanding performance without additional maintenance. - Ultra bright lighting performance provided by 90 LED bulbs up to 1050lm and supplied with built-in rechargeable 4400mAh Lithium Battery. 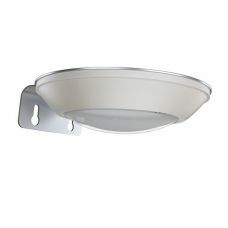 - 3 lighting modes including Full On, DIM and Motion Sensor. Automatically lights up at night in full brightness mode and turns the light off during the day. 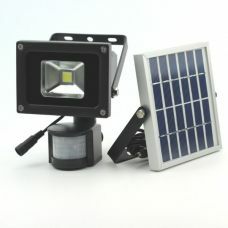 The lighting runs for up to 4-6 hours after fully charging under direct sun. Lights up at night in DIM (low brightness) mode and automatically turns the light off during the day. At night, when the sensor detects movement, the light will go On to full brightness mode and after 15 seconds will return to DIM mode if there are no motion notices. In a case when people stay active in the sensor area the Bright Light mode will remain on. The light will automatically turn On only at night when the sensor is activated and turns Off during the day. 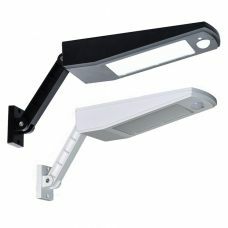 After full brightness is On, the wall light will go Off after 15 seconds if no further motion is present in the sensor range. The lighting device will remain On full power when people remain in the sensor area. 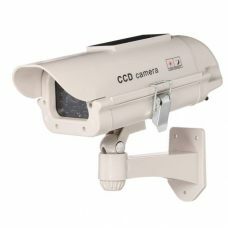 Ideal for: due to IP65 enhanced waterproofness it can be widely used for lighting up outdoor areas around a house, garden, garage, basement, fence, patios, yard, roof, stairway, driveways and other places including any residential or commercial properties. Adjustable smart lighting modes help to maintain the lighting as needed. I got this light with sensor last month to see how well it goes. And here it is the second one. The light is really bright!